It would be wrong not to make Spurs' number 9 the headline act of this weekend's Premier League action. Harry Kane has continued his knack of scoring in twos and threes, offsetting his dry spell of just 1 goal in 4 games prior to the visit of Stoke. Kane bagged a first-half hat-trick with three sumptuous strikes, all from outside of the area. That's now 4 in 4, 7 in 6 or 10 in 10 for Kane. Kane has his fair share of blank returns, but when he does get on the scoresheet he is more likely to score more than one than he is to score a solitary goal. His goals can be erratic, meaning he is not always a reliable captain pick, but worth the gamble at home, where 12 of his 17 PL goals this season have come. Pedro is the main man in the Chelsea team of late, but Hazard and Costa continue to chip in with goals and assists. They looked a dominant force once more against Swansea with the creativity and intricate passing of their Spanish maestros, with the dogged work of Kante. Pedro's fine form is starting to be noticed in the FPL community and at a budget price of 7.0. Step aside, Eden. It will be important to choose carefully which of your Chelsea and Spurs players to sell in preparation for their blanks in gameweek 28, when they don't play. The likes of Kane, Alli and Pedro will all rise in price as a result of good form and Costa went up in value most recently of all the Chelsea players, so it may be a good move to keep them in your team and cash in on their rises. None of the league's top defences play in gameweek 28 except the inconsistent Everton, so finding a short-term defensive replacement may be difficult. Hazard and Alli look the men to sell as the similiarly priced Liverpool trio of Mane, Firmino and Coutinho all look very tempting for their home game against Burnley. In his last 3 games against Stoke, Eriksen has registered 5 assists, and created on average over 3 chances per game. This excellent creativity he has shown in the past against Stoke is reinforced by his recent home form, where he has created a chance every 27 mins in his past 3 games at White Lane, with 4 assists coming in this period. Also, Eriksen put in a terrific performance in the FA Cup against Fulham, registering 2 assists, creating 5 chances and mustering 9 shots at goal. Following this, he managed a goal (5 shots) and an assist (7 chances created) in the Europa League against Genk. This suggests that he has re-found his form, and that this could be the GW where he rewards his owners greatly. Despite having only registered 1 shot on target in the last 3 GWs, Diego Costa is still one of the top captain picks in GW26. In his past 3 home games, he has registered 1 shot every 19 mins (4.7 per game), which is very good. In fact, he has only blanked at home once this season. Furthermore, his record against Swansea is quite exceptional, with 7 goals (4 shots per game) and 1 assist coming in his last 4 games against the Swans. Thus, Costa clearly has the potential to be one of the top point scorers in GW26. This GW, Romelu Lukaku has both the form and fixture to succeed. Firstly, his current form is superb, especially at home. The big Belgian has 6 goals and 1 assist in his last 3 home games, with an average of over 12 points per game. Over this period, he has also managed 4.3 shots per game and created 4 chances. Lukaku’s appeal is heightened further due to the favourable nature of this fixture. Sunderland have conceded almost 2 goals per away game this season. This is in contrast to the Everton attack, who have put on average over 2 goals per game past their opposition when playing at Goodison. Also, Lukaku has scored 4 goals (5.3 shots per game) and registered 2 assists in his past 3 games against the Black Cats, which adds to his appeal this GW. Like Eriksen, Kane has not been in blistering form in the league. However, he still has great promise heading into GW26. In the FA Cup against Fulham, Kane re-found his top goal scoring touch, netting 3 goals and registering 6 shots. This highlights his explosive FPL potential, which could be evident again in GW26. This is so for two reasons. Firstly, Kane has 4 goals in his past 2 home games. Secondly, Kane has scored 3 goals in his past 3 games against Stoke, who have conceded 11 goals in their past 3 games away to top 6 opposition. All of these factors bode well for Kane owners in GW26. Liverpool bounced back to form last GW with a dominant 2-0 victory over Tottenham. Central to their victory in this match was Roberto Firmino. Now at centre forward again due to Philippe Coutinho’s return to the starting XI, Firmino has 2 goals and 1 assist in his last 4 games and looks to be finding his best form again. This GW, he faces Leicester, who are in terrible form. Over the last 5 games, Leicester have conceded nearly 3 goals per game, and have not found the back of the net since GW19. As a result, the Foxes will be under a lot of pressure, and Firmino may be able to punish them. Moreover, in his 3 matches against Leicester, Firmino has scored 1 goal (2.3 shots per game) and provided 1 assist (4 chances created per game), which demonstrates how he is not a stranger to scoring FPL points when versing Leicester. Ross Barkley is a player who has flown under the radar. After being reinstated into the starting line up in GW16, he has returned 2 goals and 5 assists from 9 starts, which is more than decent. During this time, he has registered a shot frequency of 1 every 36 mins, and created 1 chance in the same amount of time. This means that he is on average, directly involved in nearly 6 attacking opportunities per game. Facing Sunderland, who have failed to impress defensively this season, Barkley should have ample opportunities to add to his quality attacking record in GW26. After a very slow start to life in London, Feghouli has recently shown signs of returning to the top form he showed when playing for Valencia. Particularly, his GW25 performance against West Brom was very promising. In this match, Feghouli netted 1 goal (3 shots), provided 1 assist (3 chances created) and returned a 12 point haul. Should he be able to take this form into GW26 and give a similar performance against Watford, who have the equal 5th worst home defensive record this season, Feghouli could become an FPL asset whose returns well exceed his price. At Liverpool, Marković showed glimpses of his talent in the rare opportunities he received, but was not up to pace with English football to succeed. Now playing his trade on loan at Hull, he seems to have developed greatly, and will be a key player for the Tigers if they are going to stay up. He has looked very dangerous in his 2 league starts, and has managed to have a big chance to score in each game. Facing Burnley at home, Marković will come up against the 4th worst away defence in the league, so he should have opportunities to convert his dangerous play into returns and thus FPL points. One of the craziest games in UCL history was played out in the first leg of the round of 16 phase of the tournament, between Manchester City and Monaco. With the result ending 5-3 in favour of the Premier league juggernauts, many FPL managers will be looking at the score line with optimism as City players return to the league in goal scoring form. In contrast, FPL managers should not be looking to the blue side of Manchester for defensive selections and point’s returns, as UCL staters John Stones and Nicolás Otamendi both had dreadful displays of defensive skills. Without the wise head of Vincent Kompany consistently at the back and no top tier goalkeeper, City will struggle to keep clean sheets for the remainder of the season. Dissimilarly, all of City’s attacking players – Agüero, De Bruyne, Silva, Sanè and Sterling were electric and got amongst the goals and assists, setting up one another, working with cohesion and fluidity. Agüero grabbing 2 goals and an assist is a scary prospect for FPL managers as many have ditched the pricy forward. Recently this has been a good decision after a series of blanks. However, if the Argentine once again becomes the fixture-proof, scoring machine of years past he will warrant an inclusion into more than the mere 16.9%TSB he sits at now. With the exception of the ever present and reliable Kevin De Bruyne, Manchester City boast three other exceptional midfielders, capable of rewarding FPL managers brave enough to select them. So, What Manchester City players should be included without breaking the FPL bank? Not as common FPL selection as in the past, Silva still has plenty to offer to Man City and FPL managers. Registering double-figure assist totals in every season (6) since moving to the Premier league in 2010, the Spaniard still has a fair way to go to keep up that trend. Sitting on 5 assists, with a decent run of fixtures upcoming, Silva has the pedigree to push on. Against Monaco in the UCL, Silva was tenacious in the attacking third of the field, picking up one key pass and an assist for Agüero’s second goal. With most of City’s play travelling down the wings, Silva was instrumental to starting attacking raids and linking play. He could have easily been credited with 3 assists had he been more direct with his passing, rather than giving a pass that lead to an assist by another player. Not registering a shot in the UCL tie against Monaco in such an open game was unlike the Silva seen in the Premier League, who always takes on the responsibility of shooting when on offer, averaging 1.4 shots per 90mins. Along with the 2.4 key passes per game in the league, Silva has the ability to become a big point scorer. Should Agüero hit his straps again in front of goal, Silva’s assist tally should skyrocket. Picking up the occasional goal and being a constant threat could see a quantity of bonus points being awarded to the Spaniard, which should entice FPL managers to consider Silva. At £8.6, Silva has a £2.0 saving on De Bruyne, however could be picking up as many if not more FPL points than the Belgian. One of the hottest young prospects in Europe, Leroy Sanè has been in tremendous form as of late. Breaking into the Manchester City starting XI in an attacking position isn’t an easy feat with such a wealth of options available to Pep Guardiola. However, Sanè has taken his opportunities with both hands. In the UCL tie against Monaco, Sanè was one of the top performers on the pitch. Registering a goal and an assist from 2 shots and 2 shot assists, Sanè was also menacing in possession of the ball, showing outstanding fleet of foot and ball manipulation to have 4 successful take-ons (second among all performers) and provide 4 crosses for his teammates. Having been underutilised since his move to the Premier league, only taking part in 752 minutes of league action, Sanè hasn’t been on many FPL managers watch lists. However, when the young German has started league games he has always performed, only blanking in 2 of his 8 games from the first whistle. Since GW22 Sanè has become a 90 minute player, scoring one goal and providing 2 assists in the 4 fixtures. With his pace and desire to take-on opposing defences, Sanè has the potential to gain FPL returns to take note of through assists, goals and all important bonus points. Opening the season with flurry of points, Sterling was many FPL managers prized possession. However, after GW6 Sterling fell into obscurity on the FPL scene, blanking in 9 consecutive games. After the horror run many FPL managers are finding it hard to trust the Englishman, but his performances have been quite good in recent weeks. Since GW16, Sterling has provided a remarkable 8 assists along with scoring 2 goals. This form has transitioned over into the UCL, where Sterling got a goal and an assist yet again from his 2 shots, 2 crosses and 30 touches of the ball. Having a shot every 42.8 minutes of action and providing a goal scoring opportunity every 48.6 minutes, Sterling is always in the action that Manchester City create. 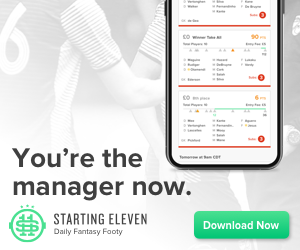 FPL managers should look to transfer Sterling into their squads to cash in on his reliable form, providing 5 or more points in 7 out of last 10 games. This form could continue for the reminder of the season as Man City look to secure a top 4 finish. What more can be said about Leicester that hasn’t already been covered. League form has been atrocious but cup form is remarkable. The UCL round of 16 phase was expected to halt the Foxes progress, but somehow it looks like Leicester could get through to the final 8 of the competition. The tough prospect of Sevilla away looked to stop Leicester in their tracks however a late goal from Jamie Vardy secured a vital away goal. Although Sevilla still won the game 2-1, there is more than just hope of Leicester pulling off another miracle. Only having 27% possession, Leicester couldn’t spark any threatening offence, however a multitude of saves from Foxes goalkeeper Kasper Schmeichel, including a penalty save, allowed the English club to head into the second leg at the King Power Stadium with enough hope to yet again defy the odds. Nevertheless, this hope in the UCL wasn’t enough to keep manager Claudio Ranieri at the helm and see out the season as he was sacked from the job the following day. The trust given to Riyad Mahrez, Jamie Vardy and defensive pairing Robert Huth and Wes Morgan after such underwhelming performances in the league spelt the end for the Italian manager. Although fans might dislike the decision to part ways with the manager that won the league less than a year ago, it could mean a change in fortunes for the Foxes who are in serious relegation danger. Role changes and pressure put on players to impress the new manager could ignite Leicesters fighting spirit, allowing them to kick on for the final portion of the season. So, with a change in manager, what could be the potential for the remainder of the season? One of the driving forces in midfield that allowed Mahrez and Vardy to excel in the 2015/16 Premier league season en route to the title, Drinkwater, like all Leicester players hasn’t been in the same class in the current season. With 3 goals and 8 assists last season, Drinkwater has dropped to only 1 assist this campaign so far. Having 1.2 shots per game doesn’t fill FPL managers with much hope as to how the Englishman can provide points to their FPL squads. However, with a change in manager, Drinkwater could see a shift in position further up the field. In the UCL tie against Sevilla, Drinkwater provided the all-important cross and assist for Jamie Vardy’s goal. This showed Drinkwater’s prowess in the attacking third of the field and match-awareness to insert himself at the correct time after completing a load of defensive work, registering 5 successful tackles, leading all Leicester players. A move to the number 10 role in the Foxes starting XI could be good news for FPL managers as Drinkwater would be one of the cheapest players (£5.3) at the position. The change in roles could free up regular attacking threats Mahrez, Vardy, Gray, Slimani and Musa, as Drinkwater would still take on defensive responsibilities, while providing the crucial link up play. Drinkwater’s defensive pressing would occur further up field with Ndidi, Amartey and Mendy taking control of tracking back. Should Drinkwater’s role in the side change, it could spark a successful run of form to survival from Leicester similar to what was seen in the final games of the 2014/15 season. FPL managers would be wise to take a punt on the English international should this occur. Registering 4 clean sheets in the Premier League this season so far, Schmeichel hasn’t been as safe with the gloves as in the past. The lack of clean sheets has been a pivotal part to Leicesters poor run of form. However, Schmeichel has been providing good numbers in goalkeeping statistics to show FPL managers that with an improved defensive line he could be top clean sheet scorer again. Against Sevilla in the UCL, Schmeichel made 5 saves along with a penalty save to keep the Foxes alive in the tie. A quantity of saves is a common occurrence for the Danish international who averages just under 4 saves per game. With a relatively simple run of fixtures ahead in the league, if Leicester can keep clean sheets, Schmeichel’s FPL potential and point’s returns should increase. 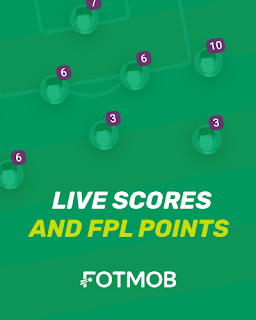 The incentive of clean sheet and saves points, along with the occasional bonus could be a handy scoring addition for a player worth £4.9 with a 5.4%TSB for FPL mangers looking to move up the ranks. What to say about Tottenham! After the first leg of their UEL tie against KAA Gent, a cup run was looking like a possibility. However, errors and poor discipline meant that once again Spurs and their fans would have to wait until next season to have another shot. The final score of 2-2 on the day and 3-2 on aggregate to Gent showed Tottenham’s lack of experience, where they gave the opposition every opportunity to win the game. For FPL managers, Tottenham out of Europe could be a positive factor to their league performances and point’s returns for players such as Eriksen, Kane, Alli and co. Although the UEL fixture finished in a draw, Spurs dominated attacking stats. Had it not been for an own goal by Harry Kane and an ill-disciplined red card from Dele Alli, Tottenham could be progressing through to the next phase. Spurs managed 25 total shots and 65% possession in the tie with defenders Kyle Walker, Jan Vertonghen and Toby Alderweireld all registering 3 shots a piece. For FPL managers who own Spurs defensive players this is good news as clean sheets are common occurrences at Tottenham and the odd goal and assist picked up can be a huge game changer in points and bonus returns. As mentioned in the European roundup Part 1 article – Christian Eriksen is an FPL must have player, and he yet again proved so against Gent. Having 5 shots, over 60 touches of the ball and delivering 7 key passes, he grabbed another goal and an assist. With partner Dele Alli off for a majority of the game, Eriksen went to another level. Bringing this form back to FPL could place Eriksen as a nailed on captain choice for a large portion of the remaining league fixtures. Additionally, the ever present Moussa Dembèlè also did his FPL stocks justice against Gent as he showed he can be a feared attacking threat when given licence to move forward. Covering for Dele Alli’s red card, Dembèlè produced 3 successful take-ons and supplied 4 shot assists. FPL managers could be bold and select the underrated £5.4 Belgian for a decent differential pick (0.4%TSB) to allow for upgrades in other areas of their squads. With a big 3-0 win in the first leg, United complimented that with a 1-0 away victory over French opposition Saint Etienne in the second leg of their UEL tie. Despite changing the starting line-up and being on the lesser side of most statistics, United came away with the victory, expressing their squad depth and desire to perform in all competitions. A solitary goal from Henrikh Mkhitaryan, assisted by Juan Mata was enough to win. Although two attacking players grabbed the winning goal and assist it was United’s defence that truly won them the game. Being reduced to ten men just after the hour mark from an Eric Bailly sending off, it was Daley Blind, Chris Smalling and to an extent Michael Carrick who kept United from conceding. With United’s league fixtures ahead, Blind proved why he could be one of the best acquisitions in FPL. Having made 3 successful tackles, 4 clearances and 5 interceptions along with providing 2 shots assists, Blind was central figure in United’s play. The transition of form to league competition could rank Blind as high as counterparts Kyle Walker, Marcus Alonso and Seamus Coleman for attacking threat and FPL point’s returns on a regular basis. However, his much cheaper value could allow FPL managers to acquire better selections in other areas of their squad. Spaniard Juan Mata is also prospect to consider for FPL in the coming weeks. Despite having 2 blanks in the next 3 GW’s, United play Bournemouth, Middlesbrough and West Brom in their next 3 fixtures in the league and Mata has been in terrific scoring form, providing a goal or assist in his last 4 starts for the red devils. As United’s cheapest regular attacking player, sitting at a mere £7.2, the Spanish international could be a godsend, if his form continues for FPL managers looking to bolster their squads for the upcoming DGWs. 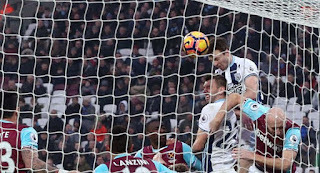 Emotions were already high after when Brunt and Evans owners lost their collective minds when West Brom’s late equaliser was credited to Gareth McAuley. The eventual release of a video explaining the call quieted the conspiracy theorists, but it set the tone for a tense couple of weeks. FA Cup fixtures, for so long virtually ignored by FPL devotees, suddenly became all-important - deciding as they would which teams would miss out in GW28. Then, as if things weren’t complicated enough, we had that Double Gameweek bomb dropped on us. So let’s look at the four most crucial questions being asked this week in FPL. - If this occurs, Morgan Schneiderlin looks set to retain his spot in central midfield, leaving Gueye, Davies and McCarthy in a battle for the final spot. - Sebastian Prödl and Craig Cathcart, Valon Behrami are facing late fitness tests, whilst Christian Kabasele is out. - Andy Carroll is nearing full fitness and has a chance of starting, but this game may come too soon for him. 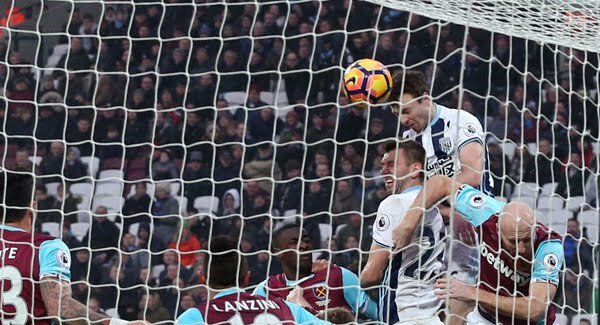 Gameweek 24 Review: Jesus Is "The Saviour"